Courtesy of 10 News - Healthy eating plays a big role in your heart health and risk for heart disease, which is why developing heart healthy habits early is important. 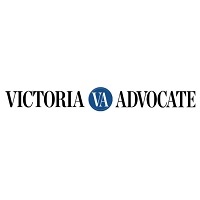 Courtesy of Victoria Advocate - People with diabetes die an average of six years earlier and are twice as likely to die from heart disease as those who don’t have diabetes. Courtesy of Gaia Herbs - While there are many lifestyle choices you can make to improve your heart health, herbs can be beneficial as well. Courtesy of ABC 4 - Becca Ballantyne, and Viet Le, Pa-C from Intermountain Medical Center Heart Institute shared ways to keep your heart healthy in honor of National Heart Month. 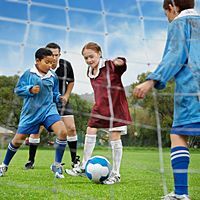 Courtesy of Cincinnati Children's - The habits that we establish as young children, such as lifestyle choices and the way we eat, are carried with us into adulthood. 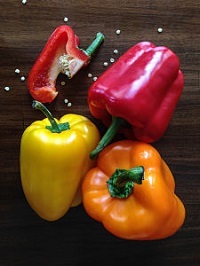 Courtesy of Cleveland Clinic - To start your day in a heart-healthy way, try five easy, delicious breakfast options from heart dietitian Kate Patton, MEd, RD, CSSD, LD. 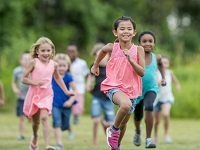 Courtesy of Daily Herald - Childhood obesity is an issue that continues to grow in America; about one in three children and teenagers are considered either overweight or obese. 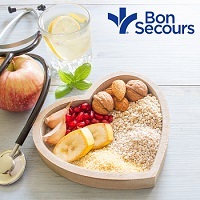 Courtesy of Bon Secours - Protect your heart health by eating foods that are good for your heart! Courtesy of ANC Action News - Cat Oyler is living her best life and she is finally able to catch her breath. Courtesy of ABC 13 Las Vegas - Millions of Americans are affected by heart disease. One of them is Melanie Baldwin. Courtesy of Florida Today - As a parent or care giver you can easily help your child develop healthy eating habits and lifestyle choices. Courtesy of Project Angel Heart - Heart disease has a huge impact on Americans. Nearly half of us are at risk for heart disease, and one in every four deaths is caused by it—making heart disease the leading cause of death in the United States. Courtesy of CBS News - Mika Leah has always lived a healthy lifestyle, but eight years ago, the young mother's life quickly changed when she had serious heart trouble. Courtesy of Illinois State University News - Fundamentally speaking, your heart is a muscle. Its main function is to pump blood to your body, which ultimately keeps you alive. Courtesy of Hackensack Meridian Health - You know how important your heart is. Are you treating it with the care it deserves? Courtesy of Mercy Health - During extreme cold temperatures, it is important to limit your time outside. If venturing outside or traveling is essential, we recommend the following tips to help you prepare. Courtesy of Trinity Health - Find what you enjoy doing best. Courtesy of Everyday Health - Protecting heart health starts in childhood. Learn about the steps your children can take today to reduce their risk for heart disease in the future. Courtesy of The University of Vermont Medical Center - Preventing heart disease means making smart choices now that will pay off for the rest of your life. 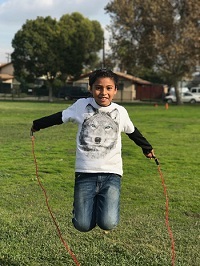 Courtesy of Action for Healthy Kids - During this special month, help kids and adults understand the importance of a healthy heart and actions they can take to live a heart healthy life.